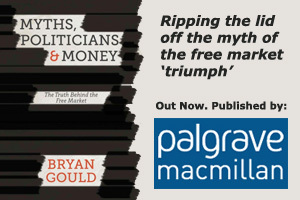 Voters have been conditioned over recent years to applaud governments when they cut public expenditure – and they do so, not just as taxpayers, but because they have been persuaded that the government’s own finances should be treated as assuming a special importance. Individuals, families and businesses, and – even more importantly – the country as a whole, might struggle to balance the books, but none of that matters, so it seems, for as long as the government’s finances are in good order. In reality, the government’s finances are of course just one element in determining whether the country as a whole pays its way, and – sadly – New Zealand continues to run a substantial overall deficit. Our perennial insistence on living beyond our means and having to borrow (and pay high interest rates) as a consequence, however, receives far less attention than the headline treatment accorded to the government’s accounts. This order of priorities means that one cannot help but wonder whether the constant cutting of government expenditure is not – for a government opposed to the overall concept of public services – part of a political, rather than economic, agenda. Whatever the truth of that, what is incontrovertible is that public spending cuts are not painless, and sometimes hurt in unexpected and even unrecognised ways. One such instance is the impact they have on tertiary education institutions. We now know that many of those working in tertiary institutions report that they are under increasing pressure to pass students who do not actually meet the course requirements – and that pressure, so damaging to the reputation of New Zealand institutions and to the value of the qualifications they grant – arises for financial reasons, since universities and polytechnics get paid only for those students who pass. And there are other, and even more subtle, consequences. One such instance involves the institution I had the privilege of leading for ten years – Waikato University. The University has developed an enviable reputation for excellence in the field of music – its composition, performance, and teaching – all enhanced by the qualities of the concert chamber in the University’s Academy of Performing Arts which is regarded as one of the best venues in the country for the performance of music. The result? Possibly the best music school in the country. The teaching of music by gifted teachers to a comparatively small group of talented students is, however, relatively expensive – more expensive, say, than providing tuition to the larger numbers in the heavily subscribed courses such as computer or business studies. Faced with the constant pressures of inadequate funding and the constant risk that it will fall further in real terms, a hard-pressed Vice-Chancellor is obliged to seek savings – and, sadly, an early candidate for cutting is the high-performing Music Department. The dismembering of the Music Department is of course an unwelcome blow to students and teachers alike, but it is also an injury to the fabric of the University itself. A university is, of course, essentially about education – teachers passing on to students knowledge and understanding to the mutual benefit of both. But it is more than that. It is a community – and one which is enriched internally by the combined skills and enthusiasms of all its members. The University community itself benefits hugely from the civilising effect that music brings to the campus, but so too does the wider community of which the university is a part. It is so often music that strengthens the valuable links between the institution and the community it serves. It is music that brings people on to campus and that gives them some understanding of what a university is really about – not just a machine for churning out job tickets but a source of shared enjoyment and the exploration of the further reaches of human learning and experience. What a tragedy that financial stringency, imposed in the interests of enhancing the government’s self-image, should mean the weakening of one of the University’s finest assets – and one that, once lost, will take years – if ever – to rebuild. And what further tragedy that one of the country’s best venues for the performance of music, built with the help of community generosity, might stand increasingly empty, and that the music should fall silent. Next: What Lies Behind the Missile Attack in Syria?